In an attempt to lower accident rates and the rising costs of insurance, another proposal has been put together to have a minimum learning period and to lower the age of learners to just 16 1/2. read the full article bellow. more likely to be involved in a crash than older drivers. handle the dangers of driving. believe will reduce the risk posed by young drivers. insurance premiums will reduce as a result will be an added benefit to society. number of crashes they have. of young drivers in the UK. rush to take the practical test. restriction on their driving during night-time hours. have devastating consequences involving life-changing injuries. 37–44 year old drivers with the same driving experience. claim for a minor collision involving few injuries. involving lifetime care requirements for those injured in the accident. page (and on the following pages) are taken from this data collection. will run into many millions of pounds over his lifetime. payout was in excess of £4 million. These examples are not unique but are typical of serious young driver crashes. significantly higher frequency (claims per policy) of catastrophic claims. catastrophic injury in a crash. Graphs 4 and 5 concern bodily injury claims associated with catastrophic claims. catastrophic claim that results in a bodily injury claim compared to older drivers. (causing multiple injuries) and that their crashes involve a greater number of people. statistics showing drivers who were killed or seriously injured in 2010. 17–19 year-old male drivers that result in a serious injury or death occur at night. a crash at night resulting in death or serious injury is higher for young drivers. aged between 60 – 79.
undertaking this manoeuvre than drivers aged over 25.
are twice as likely to have a crash on slippery roads than a driver aged over 25.
would be killed in a crash increased with each additional passenger in the vehicle. 39%, 86% and 182% respectively, for 16-year old drivers. they have three young passengers. which relate to the attitude of the driver. crash due to being careless, reckless or in a hurry than drivers aged over 25.
why they are prone to more accidents than older more experienced drivers. initial period of learning to drive to the end of their third year of driving. their ability and express an immature attitude to driving8 (see left). driving in dangerous and high risk ways. the hell I want now! successful reform being the introduction of graduated driver licensing. higher risk of a road accident during night-time hours. curfew, after which night driving is not permitted without an adult present. licensing has been deemed a success and there are many studies to support this. not implemented a graduated licensing scheme. supervised driving or passenger restrictions. Experience of individual States in the U.S.
13 Initial Effects of Graduated Driver Licensing on 16-Year-Old Driver Crashes in North Carolina, Robert D. Foss, John R.
driver licensing; a three stage licensing system which includes a restricted license. Canada, individual provinces must be looked at. A graduated driver licensing scheme was introduced in Nova Scotia in 1994. In British Columbia, the graduated driver licensing scheme was introduced in 1998.
licensing system was introduced in 1987.
licence, an on-road exit test focussing on higher-order skills must be passed. fact that road safety outcomes for young drivers were improved significantly. change is the increased age at which young drivers can apply for a learner licence. obtain a restricted licence changing to 16.5.
licensing with the most recent jurisdiction, Victoria, introducing a scheme in 2010.
graduated licensing scheme, compared to other drivers. limited to carrying one passenger. alcohol limit for the duration of the two year restricted period. restrictions placed on those under 20.
provide supporting evidence for each measure. subsequently go on to have the highest crash rates when fully licensed. licensing system in the UK is the key reform needed. experience, the driver will be better prepared for solo driving after passing the test. propose to lower the age in which young drivers can start learning to 16 ½ years. learn to drive for a full year before attempting their first practical test. experience to be safe road users after completing these courses. • Introducing graduated driver licensing for drivers under the age of 25.
of passengers a young person can carry and the time of day they can drive. accordance with the Highway Code. are able to carry for a period of 6 months. when carrying three or more passengers. months after passing their test. representative sample. ABI Quarterly Consumer Survey 2012 Q3. or older and who has held a full driving licence for 3 years). during the first 6 months of driving. driving experience and recreational driving at night. introducing a night time driving restriction. confectionary which contain small amounts of alcohol. Self-enforcement: Driving laws in the UK are already to a large degree selfenforcing. introduced to accompany graduated driver licensing. 30 Survey findings based on fieldwork conducted online by YouGov between the 25th August and 3rd September, 2012.
engagement and assistance will be needed when negotiating with Government. other driving offences such as speeding and driving while using a mobile phone. such as failing to comply with traffic lights and exceeding the speed limit. that adhering to the restrictions is an expected behavioural requirement. paying a price for our failure to act. on the economies in which the schemes are applied. down on drink driving are just two examples where intervention has worked. without wearing a seat belt was allowed and drink driving was a major problem. Intervention has worked in the past and it can work now. and parents, means we firmly believe these proposals can be applied in the UK. killed and injured on our roads. the older drivers of tomorrow. Heres the the governments agenda. As part of its plan to help hard working people, the government has announced measures to help motorists to cut the cost of running a car. These include a crackdown on whiplash fraud, a freeze on MOT test prices and a scheme designed to reduce the cost of fuel at motorway service stations, Justice Secretary Chris Grayling announced today (23 October 2013). Average motor insurance premiums have already fallen by more than 12% over the past year, equivalent to an £80 reduction on an average policy, thanks to Ministry of Justice reforms to no-win, no-fee deals and action on rogue claims firms – according to new statistics from the AA. We are turning the tide on the compensation culture and helping hard working people by tackling high insurance premiums and other motoring costs. We have already helped families by cutting income tax for 25 million people by raising their personal allowance, by freezing council tax and by helping with tax-free childcare for example. But we want to do more. It’s not right that people who cheat the insurance system get away with it while forcing up the price for everyone else – so we are now going after whiplash fraudsters and will keep on driving premiums down. The costs of owning and running a car are felt by millions of households and businesses across the nation. The government is determined to help keep those costs down. That is why we are freezing the price for an MOT test and looking again at the costs associated with getting a driving licence. We also want to make it easier for people to get a better deal on fuel at motorway service stations, for instance through a trial of motorway signs that will show motorists the different fuel prices on offer on their route. New statistics from the AA show that motor insurance premiums are now falling at the fastest rate since 1994 – a fall of 12.3% in the year to October for an average comprehensive insurance policy, from £648 in October 2012 to £568 in October 2013. New figures from the Ministry of Justice’s Claims Management Regulation unit also show that the number of claims firms in the market has plummeted by more than 1,000 following the law changes, from a peak of 2,553 in December 2011 to 1,485 last month. The firms are responsible for bombarding the public with adverts for profitable compensation claims. Despite these successes whiplash claims remain an issue which government will continue to fight. The number of claims has fallen since 2011 but there were still almost half a million whiplash claims in 2012. Insurers say these claims cost them more than £2bn in payouts and lead to an average premium increase of £90 for drivers. Each whiplash compensation payout costs an average of £2,400 insurers say, with an additional £2,000 in legal costs. The government will now work quickly with experts to implement the independent medical panels. This will include developing a scheme for accrediting medical experts who can assess whiplash injuries, enhancing the medical reporting process, improving information for medical assessments and carrying out spot checks to ensure quality. Plans for improved data sharing by insurers will also help police, including the specialist Insurance Fraud Enforcement Department, to track down criminal fraudsters. 1 Prime Minister David Cameron pledged action to tackle high insurance premiums following a summit with the insurance industry in February 2012, where insurers committed to pass on savings to their customers. Transformed no win, no fee deals so lawyers can no longer double their fees if they win, at the expense of defendants and their insurers. Banned “referral fees” paid between lawyers, insurers, claims firms, garages and others for profitable claims – which have driven the growth of compensation culture. Reduced by more than half the fees lawyers can charge insurers for processing basic, uncontested claims for compensation for minor injuries suffered in road accidents – from £1,200 to £500. Banned claims firms from offering cash incentives or gifts to people who bring them claims. Recommend a friend deals also banned, along with contracts agreed only over the phone. 2 The independent medical panels were proposed as part of a consultation on measures to tackle the number and cost of whiplash claims. The consultation, and the response documentpublished today. 3 View the AA’s insurance update. 4 The Claims Management Regulation update, and further information about the CMR unit. 5 By committing to freeze the fee of a statutory MOT test for a car at £54.85 the government has ruled out raising the price by around £4 a test. There are 35m MOT tests done every year, with about 12m of those being charged at the full fee – so this could be a significant saving of around £50m to Britain’s drivers. The number of compensation claims are published by the Department of Work and Pensions Compensation Recovery Unit. Of the 820,000 motoring personal injuries in 2012/13, 480,000 were recorded as whiplash claims. The £90 figure above was published by the Association of British Insurers. 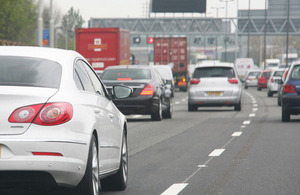 The ABI also report that in 2011 there were 45,000 bogus dishonest motor insurance claims detected. Savings of £441 million were made by the industry from the claims uncovered. The number of reported road accidents are published by the Department for Transport atwww.dft.gov.uk/statistics/tables/ras40007/andwww.dft.gov.uk/statistics/tables/ras45009/. These reduced from 189,000 in 2006 to 151,000 in 2011.